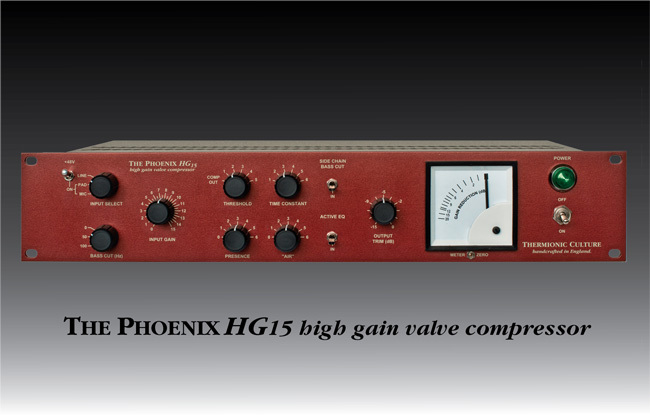 The Phoenix HG 15 is a single channel version of our classic Phoenix Stereo Compressor, having the same gentle “variable mu” type compression curve, though it becomes near to a limiter at high compression levels. The gain has been boosted to suit mic inputs, particularly valve and FET condenser types, but many moving coil types, such as Shure, Audio Technica, etc. are fine to use if the sound source is quite loud or close-miked. With the Threshold switch set to Comp Out it’s a clean mic/line amp, now add a little Active Eq, “Presence” and/or “Air” to brighten the sound, then switch in some compression and achieve that gentle “super-natural” effect that only Thermionic Culture can give you. 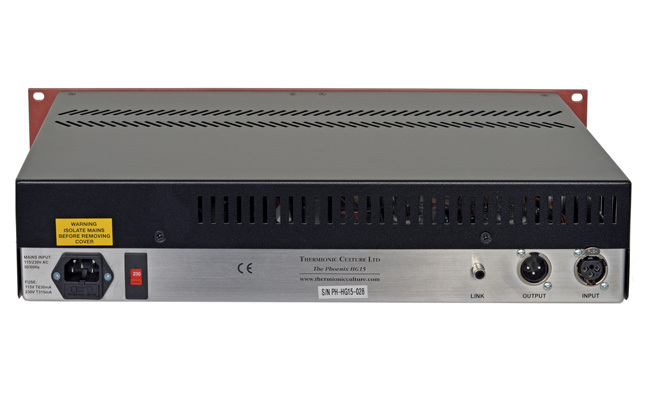 The Output Level control acts as a reverse linear attenuator after the electronics, and can be used simply to reduce level if feeding a low level input, or to add “Attitude” by reducing the output and increasing the input. If you’re working from line level, it’s OK to switch the input from “Line” to “Pad” but ensure the +48v switch is OFF! 2 HG15s can be linked together for stereo use by a phono-phono lead from the Link socket at the rear. There’s a Side Chain Bass Cut switch, which can also be useful in mono operation. 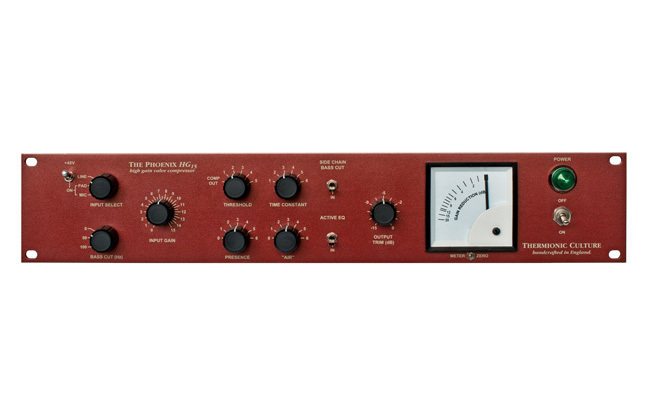 To sum up, The Phoenix HG15 is ideal as just a mic amp for vocals, violins, horns, guitars…… especially when using a high output mic like the U87. Then having the ability to add compression and a bit of eq.